2 Beds 2 Baths 867 Sq. ft. Listen to the sounds of the surf from your Oceanfront Condo on Venice Beach! Enjoy long walks on the sandy beach lined with sea gulls and dolphins playing in the ocean. 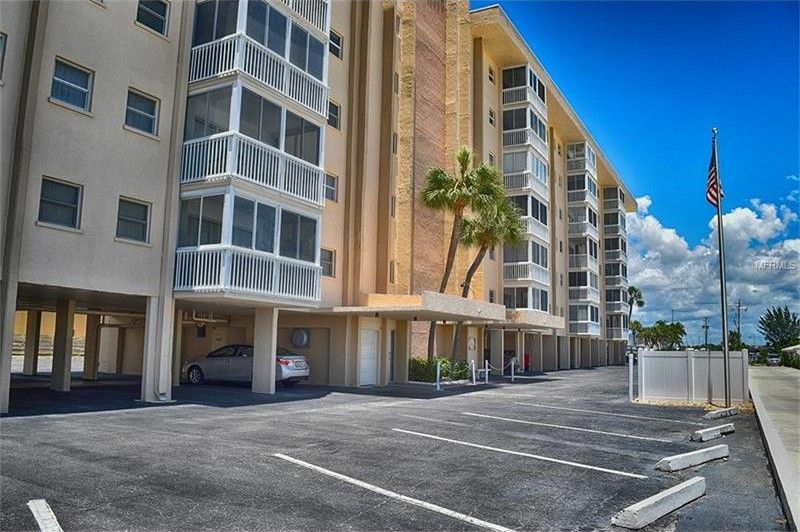 This is Florida living and it comes with this 2 Bedroom 2 Bath Turnkey Furnished unit. Move in today or purchase as investment property with its flexible 1 month rental policy. Tastefully decorated with wood laminate flooring in most rooms and ceramic tile in the others. Triple sliders open to Glass Enclosed Lanai which captures the turquoise colors of the Gulf of Mexico. The split bedroom plan offers privacy for family and friends. Under building assigned parking. San Marco has direct access to the beach, Heated Pool and oversized patio area, Recreational Room and Low Fees. For the boater there is a marina across the street with boat slips putting you just minutes to Venice Inlet with no fixed bridges. Here on the Island of Venice you can stroll to the jetty, restaurants, shopping, art galleries, theatre, park and much more. Driving Directions: From US 41 South head west on Venice Ave. Right (north) on The Esplanade N; bear left onto Tarpon Center Drive; San Marco on left side (Gulf side).